Geometric, original shapes and a wonderful combination of materials for the Poliedrik collection. 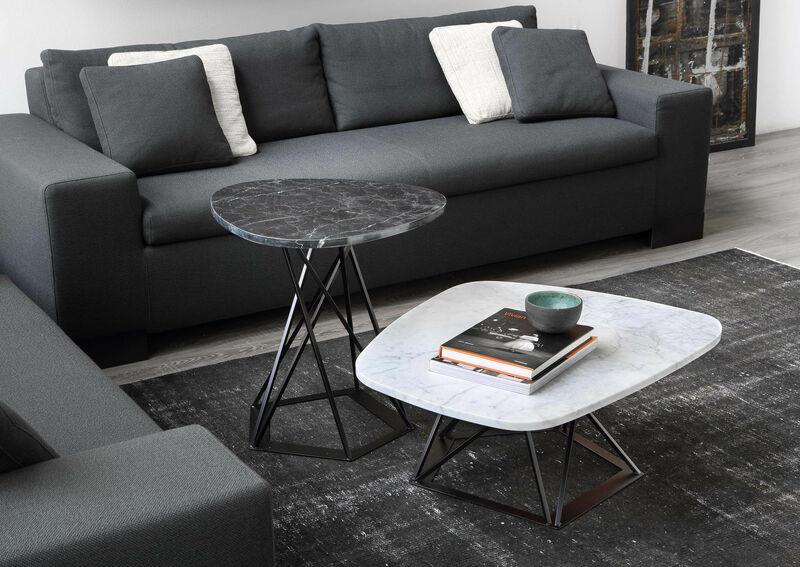 This range consists of coffee tables with different dimensions, colours and materials, each as beautiful as each other. You can choose to set them up on their own or, even better: to put several together in order to create an very graphical composition. This version is equipped with an epoxy painted steel structure with asymmetric lines and attaching to a pentagonal base. 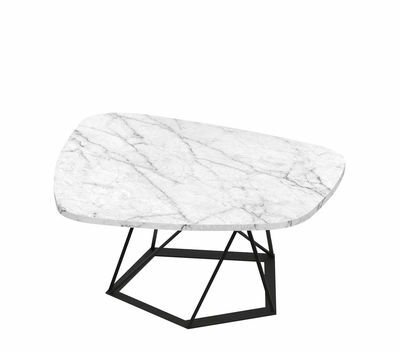 It is combined with a white Carrara marble tray veined with modern geometric shapes, contrasting with this very sophisticated and classic material. The contemporary and remarkably harmonious design of Poliedrik makes it an exceptional piece! MAINTENANCE. 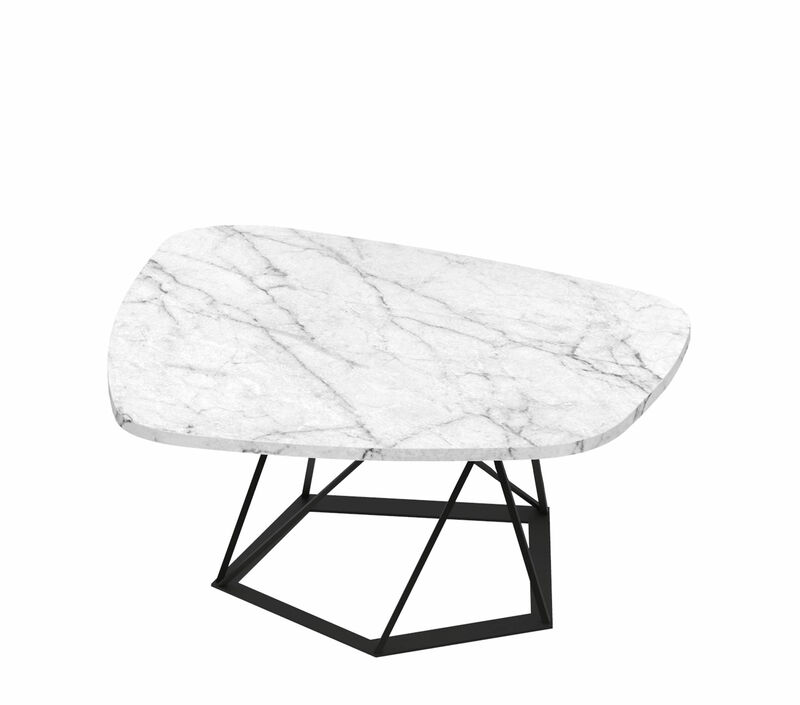 Marble is a fragile stone, sensitive to stains and requiring special care. Clean stains immediately with soapy water, then wipe with a dry cloth. Never use acid or chemical products.